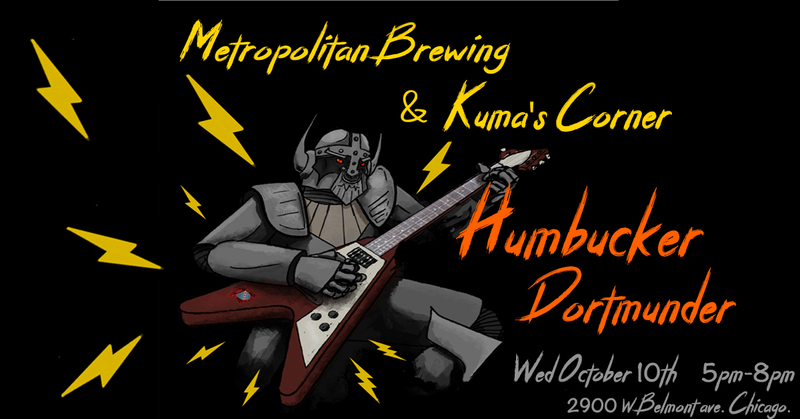 Kumas » Metropolitan Brewing Robot Invasion! Join us and the crew from Metropolitan Brewing on Wednesday, October 10th at the original Kuma’s Corner! 5pm-8pm. Metropolitan is bringing an actual ROBOT to pour our collaborative brew ‘Humbucker’ Dortmunder.